In what can be called as a respite to senior journalist Rajdeep Sardesai, the Supreme Court on Monday stayed criminal defamation proceedings in a case for allegedly making false implication against a senior Hyderabad police officer in connection with the 2007 Sohrabuddin encounter case.A bench of Justices Prafulla C Pant and Amitava Roy heard this petition, filed along with seven others associated with the case with other matters, in which constitutional validity of sections 499 (defamation) and 500 (punishment for defamation) of the IPC has been challenged. The other journalists involved are SidharthaGautam, Swati Vashishta, VK Shashikumar, Ahmed Ali Shaik, GulabKotari, Hemender Sharma and Lateef Mohammed Khan.The TV journalists filed the fresh writ petition on the issue after the Supreme Court on May 15 had cast off their appeals against summons issued to them for allegedly defaming Rajiv Trivedi, Additional Commissioner of Police (Crimes and SIT), Hyderabad, Andhra Pradesh. It seems that the issue of Constitutionality had not been raised in the earlier petition. 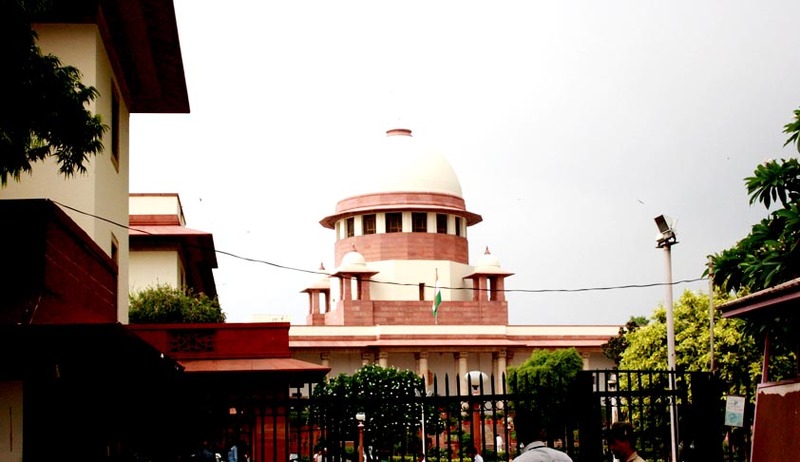 It was on May 15th a bench comprising of Justices V Gopala Gowda and V Nagappan had dismissed the appeal and upheld the judgment passed by the Andhra Pradesh High Court rejecting the petitions for quashing initiation of criminal proceedings against the journalists under Section 482 of the Cr PC saying it was perfectly legal and valid. "The same does not call for interference by this court in exercise of its appellate jurisdiction as there is no substantial question of law framed in the appeals nor is there any miscarriage of justice for the appellants to interfere with at this stage," the bench had said. Defamation cases have always raised eyebrows among the masses, be it Rahul Gandhi’s, SubramaniamSwamy’s or Kejriwal’s.Rahul Gandhi was indicted by RSS leader for lowering their reputation in March 2014 during an election rally. SubramaniamSwamy had allegedly made critical remarks against Jayalalitha. However, in his petition Swamy had challenged the validity of S. 499(2) of CrPC. On the other hand, Delhi CM had got such a relief from SC in two defamation cases, one was filed by an advocate Surendra Kumar Sharma and the other by BJP leader Nitin Gadkari.